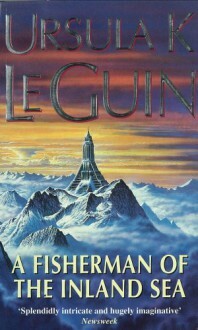 The winner of the National Book Award, Ursula K. Le Guin has created a profound and transformational literature. The award-winning stories in A Fisherman of the Inland Sea range from the everyday to the outer limits of experience, where the quantum uncertainties of space and time are resolved only in the depths of the human heart. Astonishing in their diversity and power, they exhibit both the artistry of a major writer at the height of her powers and the humanity of a mature artist confronting the world with her gift of wonder still intact. A mixed bag. Some good. Some funny. Some a bit confusing and hard to get into. There were some odd little stories in here, but the best were the trio at the end that explore the technology of instantaneous transportation. Her Buddhist sensibility shines through when addressing the questions of competing realities and human relationships.